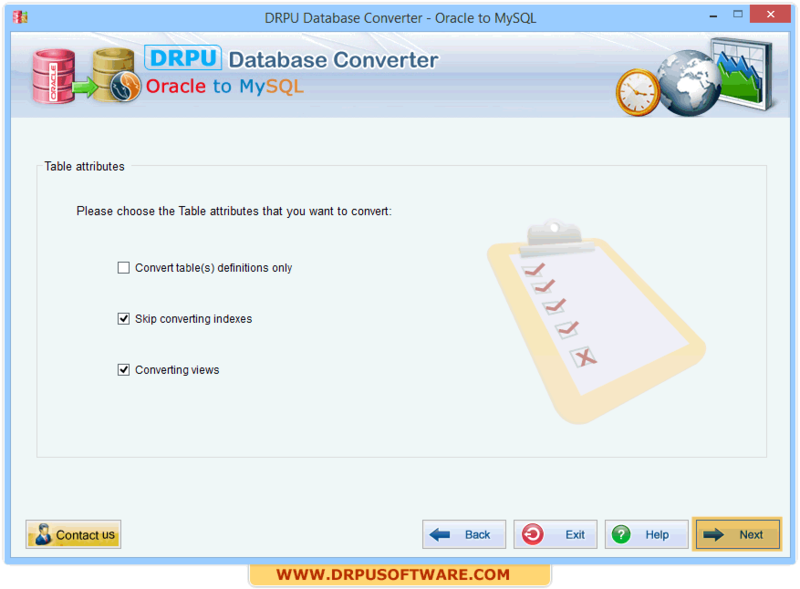 Please choose the table attributes that you want to convert. 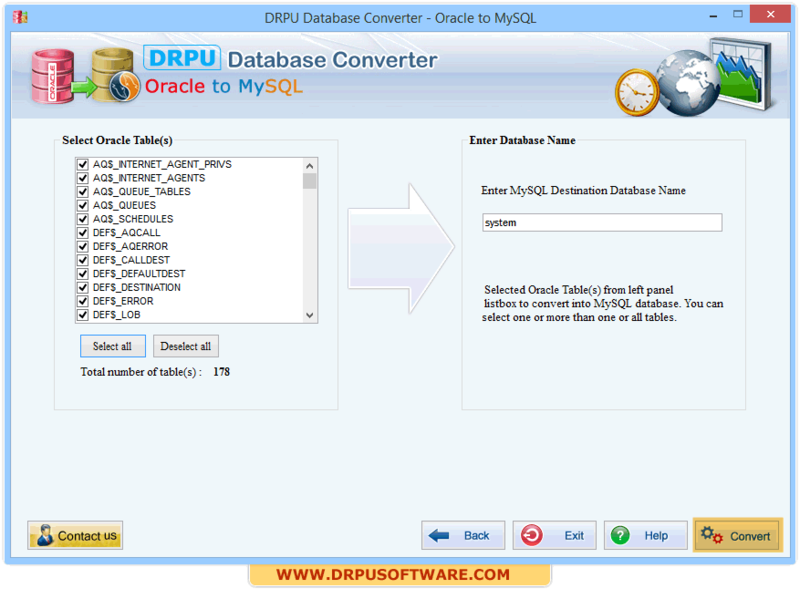 Select the tables that you want to convert from left panel and enter the database name for converted database. 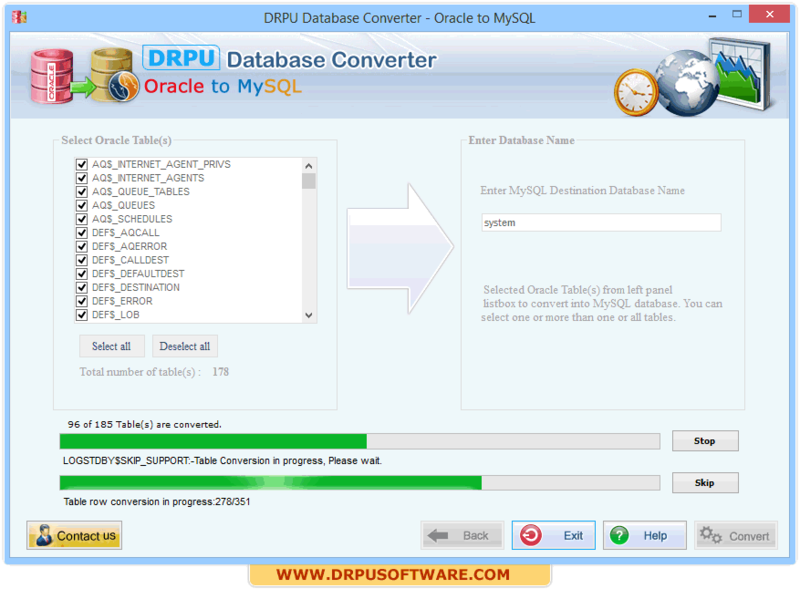 Click on Convert Button to proceed. Please select views from a list and click on confirm button to proceed. 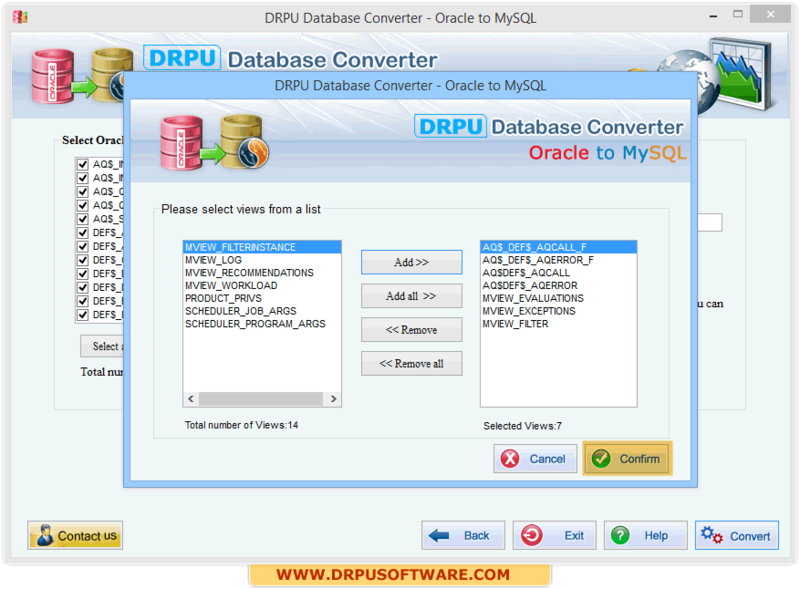 Above screen displays ongoing Oracle to MySQL database conversion process. 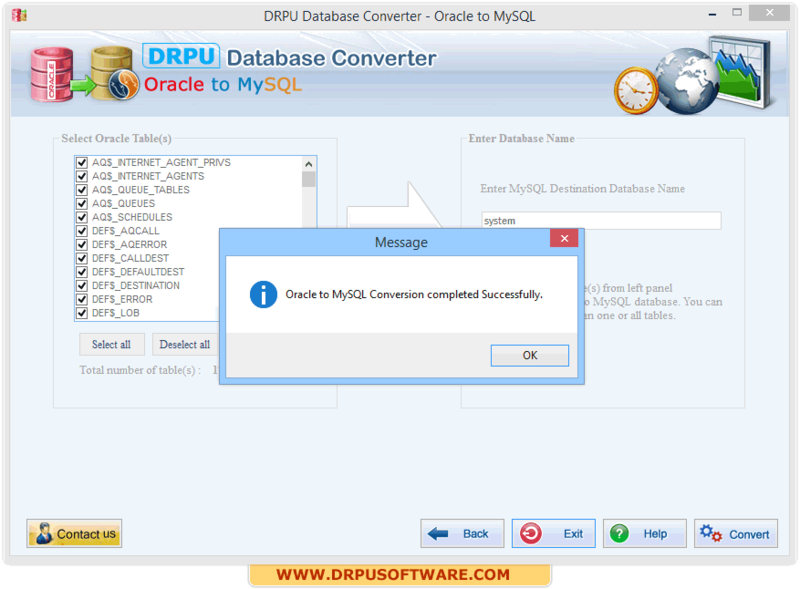 After completion of conversion process, a message window will display – “Oracle to MySQL Conversion Completed Successfully”. Click Ok to finish your process.